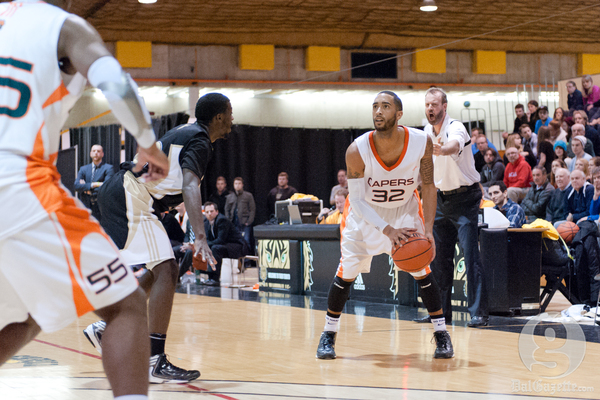 Let’s not gloss over it: this was a semester unlike any other for Dalhousie Athletics. Instead of the slap to the wrist many expected, the university garnered international attention by taking a strong stance against hazing, forcing women’s hockey to forfeit the second half of their season. The suspension–and criticisms about its severity–easily made hazing the most talked about story on campus this year. 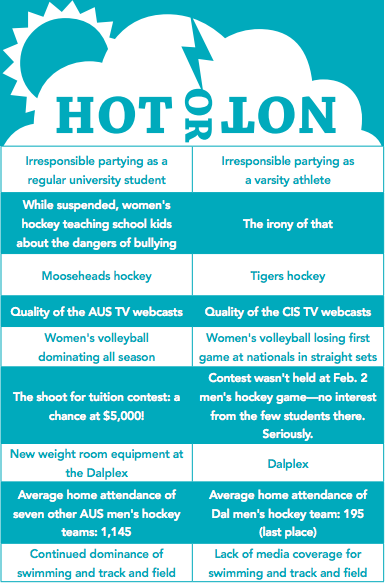 It took a while, but once hazing left the headlines, there were a number of teams (minus women’s hockey) turning heads with their actions in competition. 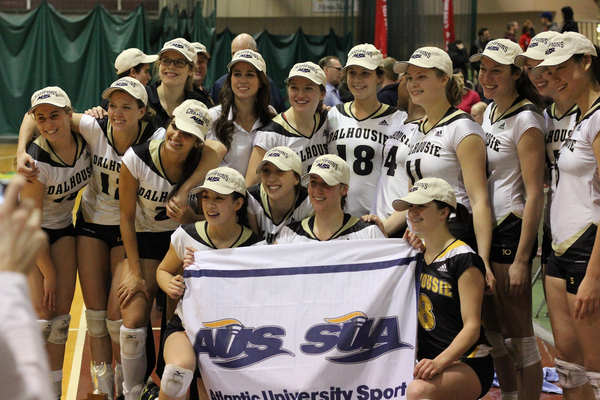 The usual teams claimed AUS titles and there was a changing of the guard in women’s volleyball.